Texas Guv Rick Perry just announced that he will not run again for governor. This political development has important impact in the stem cell field, particularly in the state of Texas. 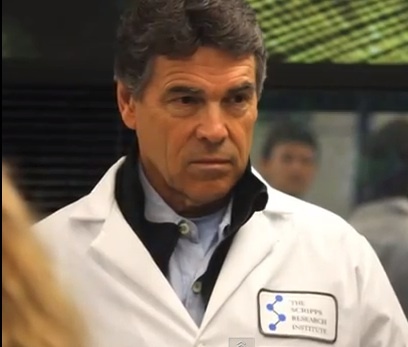 Perry is one of the biggest advocates of certain types of adult stem cell commercialization. When he is no longer governor there will be impact on certain stem cell for-profits. Texas stem cell clinic, Celltex, has had a rough past year including an FDA audit, FDA warning letter, and suspension of their clinical operations. In fact, just a few days ago I reported the news that the FDA is still inspecting Celltex to this day. One of Celltex’s biggest and most powerful allies is/was Perry, himself a former recipient of a stem cell intervention prepared by Celltex. About a year ago, I met with Perry in La Jolla and his passion for stem cells was very apparent. The fact that he will be exiting the political arena in Texas cannot help but be more bad news for Celltex. So are you saying that Governor Perry’s retirement will have an impact on CellTex or adult stem cell commercialization in Texas? If it’s the latter, there is good non partisan support to continue, so I am not sure where you are getting your facts. Do you have some kind of psychic information about who the next Governor of Texas will be? I also don’t see where Governor Perry’s retirement will have an affect on CellTex’ future. They are continuing to treat patients in Mexico. It’s not as if they shut down. I’m confused as to what the point is you are trying to make. It is unlikely that a new Guv of TX would be anywhere near as strong a friend to the company. What is your evidence they are treating patients in Mexico? Their website says they will be continuing in Mexico. It doesn’t say they are closing their doors. I still don’t understand what the tie in is to the commercialization of stem cells in general in Texas and CellTex. They are just one company. Are there other clinics that you recommend that the stem cell field should be paying more attention to instead of focusing so much on Celltex? Are there some clinics of particular concern to you for example in terms of how they treat patients, etc?